International expansion is the goal of many businesses, however it can seem like a daunting task. Nobody would ever pretend that bringing your products and services to foreign markets doesn’t require hard work, but with a steady hand and clear mind it can be easier than you think. These three handy tips will help keep your mind and your business on track during the expansion process. 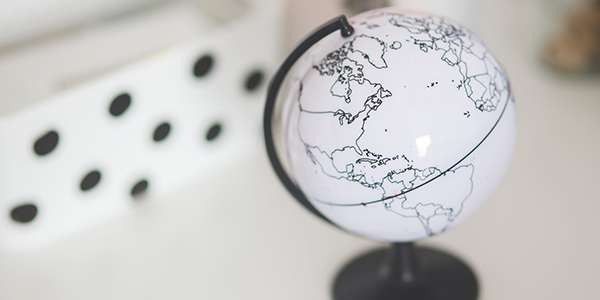 International expansion is a noble goal, but you can’t hope to succeed unless your business is sorted at the local level. It’s not just about ensuring you have the funds to cover expansion either. Growing your business into new markets will take a lot of your time and focus. Unresolved problems in your local marketplace will inevitable interrupt your dedication and expansion plans. If the problems are serious, it could even hamper the success of your expansion, so make sure you have a firm footing before you leap. It’s beyond important that you put the time in to understand as much about your intended marketplace as possible. It sounds obvious, but the expansion process can be easily stalled by unexpected issues. Learn how the market operates and what it requires. Not only will it make your entry as seamless as possible, it will also give you the best possible chance to achieve success in the long run. Consider every aspect of your operation from supply, through delivery, and into customer aftercare. Make sure to spend enough time in the new market before you take the big step to get to know the new market properly, and don’t underestimate the importance of local partners that can guide you through local customs and introduce you to the right people! There is nothing that turns away potential customers than a poorly written website or social media presence. Take the time to offer interactions with your business in your new market’s local language. This also translates to local culture. The groundwork is important to understand the do’s and don’ts when it comes to marketing in the area. For example, a campaign which goes over well in Europe may have widely different cultural connotations in Asia. The last thing you want to do is offend your new customers. At Goodwille, we are experts in helping overseas businesses get off well in the UK. We offer advice and support on everything from business culture to practical help with your UK business – from legal issues and compliance, to finance, HR, payroll and office admin. Our vast experience and broad network of partners offer you the best possible start when entering the UK market. Get in touch with us today to find out how we can help your business in the UK.